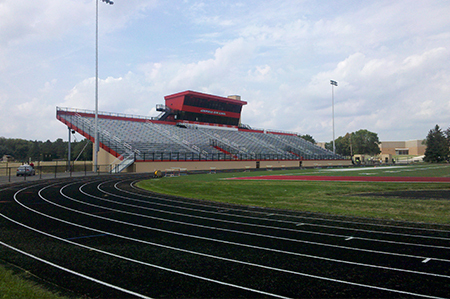 Since 2010, Kapur & Associates has been providing overall site master planning, project design, and construction inspection for the Arrowhead High School Campus in Hartland, Wisconsin. Projects include the new stadium bleachers, paving repairs, campus survey, lacrosse fields, storm water management plans, environmental and natural resources investigation, and parking lot expansions. We are working closely with the District to provide a comprehensive improvement plan that will detail projects and expenditures over the next 10 years.